This interesting cheese mixture makes a great recipe with eggs and raisins. 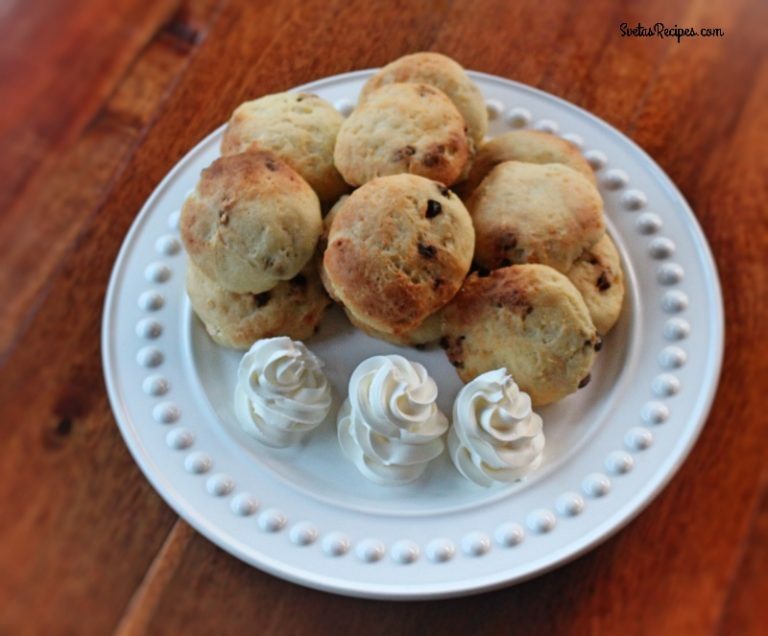 It also taste fabulous with the raisins, my family really enjoyed it and I hope Yours does too. 1.) In a large bowl add cheese, eggs, sugar, salt, and raisins. Mix well. Next add your sifted flour and baking soda, mix well. Place it on a lightly floured surface, and kneed until it is smooth and elastic. 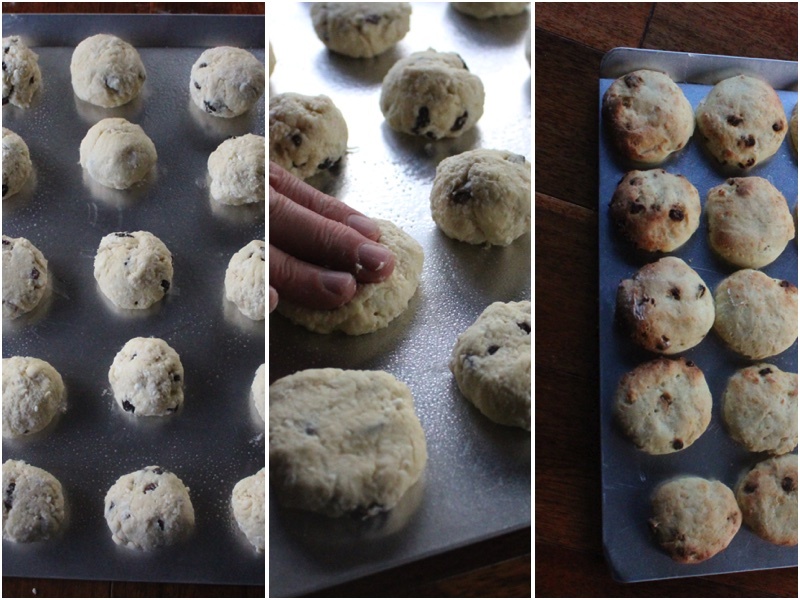 Shape your dough into small size circles. 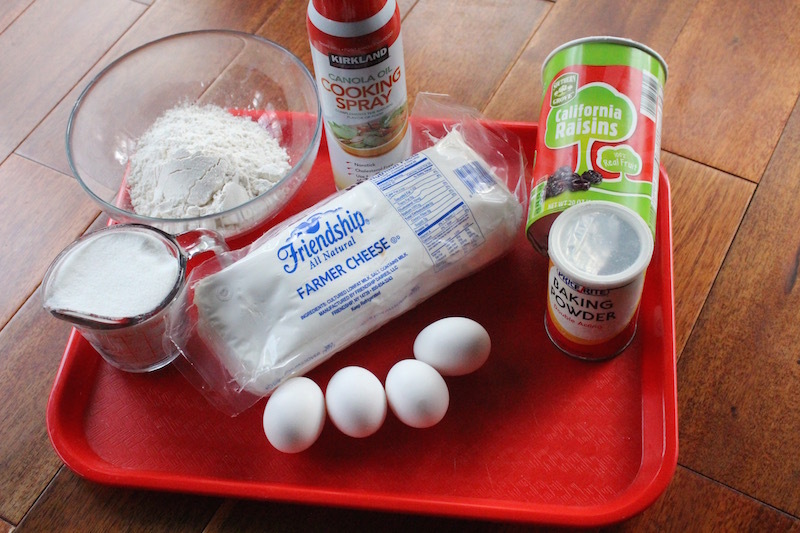 In a large bowl add cheese, eggs, sugar, salt, and raisins. Mix well. Next add your sifted flour and baking soda, mix well. Place it on a lightly floured surface, and kneed until it is smooth and elastic. 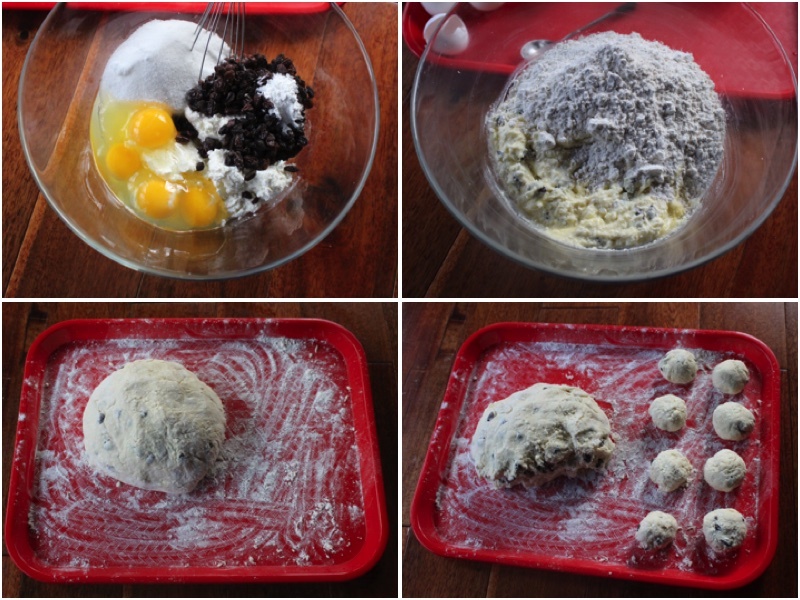 Shape your dough into small size circles.